Remember when toys used to be made out of real metal, and not this chintzy chromed-plastic stuff we have today? At least we can go back to the old days by DIY-modding stuff--or go even further back, like Lincoln-logs era, by strapping antique wood to a Nerf gun. Etsy seller faustus70 (aka Neil Taylor) had a Nerf N-Strike Barricade gun and an “at least” 75-year-old wood chair lying around, and he thought, why not put these together? 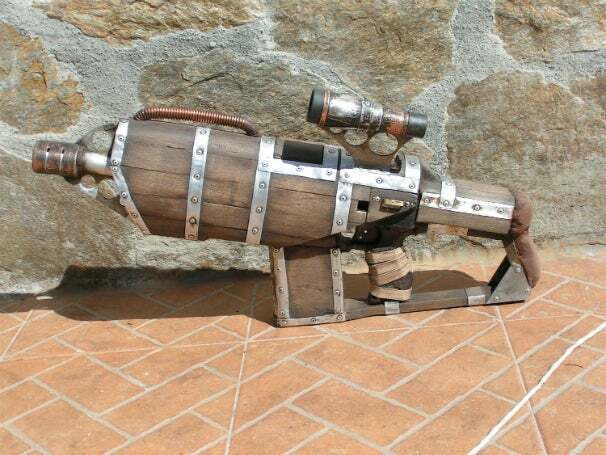 He refashioned the standard-issue Nerf into a “steampunk big daddy gun”, wrapped in wood planks held together by hand-cut aluminum strips and hand riveted in place. Of course, the whole thing still works as a Nerf gun, complete with the 10-dart barrel magazine and top chamber access. But the modifications also made the Nerf gun even better with a taller stock, 3x scope, metal paint, and the whole badass steampunk aesthetic. 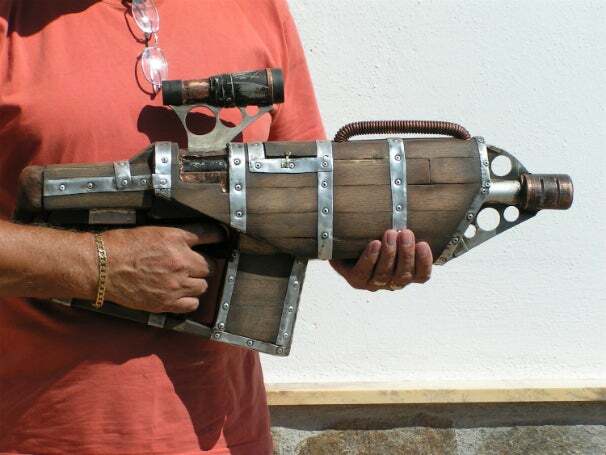 Sadly, it does look like this particular steampunk big daddy gun, previously listed for $300, has already been sold. But according to faustus70’s profile, he takes commission jobs and has done even more awesome mods, such as the Alien Pulse Riffle or Warhammer 40K Bolters.